A Delaware man was indicted on charges of assault and domestic violence Wednesday by a Delaware County grand jury. James Hershel Pipes Jr., 41, of 169 Georgetowne Drive, Apt. 19, was indicted on a charge of assault, a first-degree misdemeanor; a charge of domestic violence, a third-degree felony; and a charge trespassing in a habitation, a fourth-degree felony. Police report they were summoned to Pipes’ residence on June 23 after a neighbor called police and said he had been assaulted by Pipes when he tried to stop Pipes from hitting his girlfriend. The neighbor sustained minor injuries. Although the girlfriend initially denied any assault, she later admitted that Pipes had assaulted her during an argument, police said. 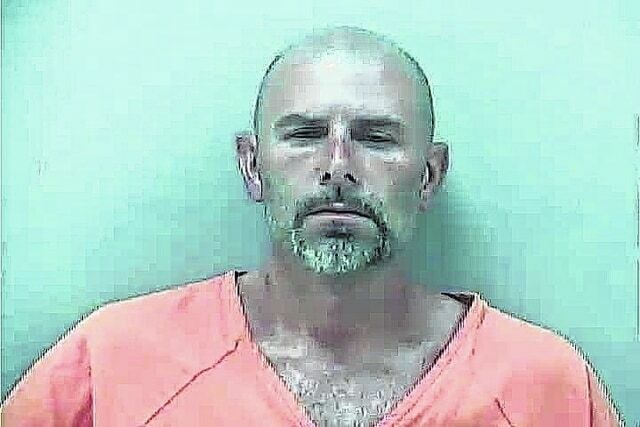 • Eric S. Gilmore, of Marysville, on a charge of domestic violence, a fourth-degree felony. • Sabastian I. Nead, 18, of 131 Hills Miller Road, on a charge of burglary, a second-degree felony. • Mark A. Dennison Jr., of 476 Heritage Blvd., on a charge of burglary, a second-degree felony. • Matthew R. Penhorwood on a charge of burglary, a second-degree felony. • Nathan M. Nester, 33, of 1427 Missouri Ave., on a charge of theft, a fourth-degree felony. • Patrick D. Randall, of 134 Coover Road, on a charge of receiving stolen property, a fifth-degree felony. • Brenda J. Retterer, of 822 Buehler Drive, on a charge of theft, a fourth-degree felony. • Nicole E. Wilson, of Columbus, on a charge of burglary, a third-degree felony; and a charge of theft, a first-degree misdemeanor. • Bryan P. Lamb, of Mount Vernon, on a charge of burglary, a second-degree felony; and a charge of theft, a fifth-degree felony. • Jeremiah Leist, of Mount Vernon, on a charge of burglary, a second-degree felony; and a charge of theft, a fifth-degree felony. • Melvin R. Fiske, of Mount Vernon, on a charge of theft, a fifth-degree felony. Arraignments in Delaware County Common Pleas Court have not yet been scheduled for those indicted Wednesday.